"You were great Cathy! Most happy with your professional attitude and your ability to meet our needs. Even though we did not live here, you still managed to get us through. Thanks for all your hard work. Well appreciated." "The service was great! I was most happy with the quick response to all my questions and concerns. Even when Cathy was on vacation, her staff were right there for me and very professional. When they could not answer one question, Cathy herself called from her vacation spot. This is true dedication to the client. Thanks for everything!" "You are very knowledgable of the Port Alberni area. Also, I like the fact that you have so many contacts.. repairmen, inspectors, property managers etc. You are very reliable and always got back to me promptly when I called. You are very accommodating. " "We were most happy with the way you and your staff treated your clients. Your knowledge and caring goes a long way and makes your clients feel very comfortable when doing business with you. Thank you very much for all you've done for us. I would recommend you to anyone!" "I liked the way you called me on the phone after my original email inquiry. Felt a personal connection that I appreciated. Felt supported and taken care of by your office staff all along the way. Many Thanks." "Was so happy with your sincere personality and respect. You always kept me informed. I think you saved my life!" "Everything was professional & timely. Wonderful service! Couldn't have had a better experience. Cathy was well informed and able to explain the process to us so that we could understand." "I was very pleased with the process of selling my home. I am most happy with the sale of course and the time I had to complete the sale and prepare to move. The two months worked perfectly for me. Thank you"
"I was most happy with the fact you could get the price lowered because of electrical problems. You responded quickly to my numerous calls and questions. Thank you for the gift." "Cathy is determined to sell and does a great job of connecting with buyers/realtors and advertising the listing. We always enjoy working with Cathy & appreciate her hard work and dedication." "Cathy & Sara were always upbeat and got right to the point. Cathy was great letting us go through RE/MAX in Victoria and they in turn were patient and helpful which we really appreciated. Thank you for selling our property!" "Both your service and Sara's was excellent! We were most happy with the speed at which we were able to see homes we were interested in and the quick sale/purchase when we found what we wanted. Also, that you emailed us new listings for two or three years so we had an idea of what to expect when we moved from Victoria to Port Alberni." "Your service is excellent! Was most happy with the repeated follow up and emailed paperwork." "We were very happy to have someone who could answer our questions and who could walk us through the whole process of buying a house. Your folder with recommendations of a Notary, Mortgage Broker etc. was very helpful. We felt that we could trust your insights and judgements." "You were always ready to assist us when we asked for information and were available to answer all our needs in a very pleasant and caring way. Thank you!" "Everything was great. Quick to respond to put the condo up for sale and listening to our requests. Most happy with the updates on what was happening - viewings, offers etc." "You are perfect! Your knowledge of your area, attention to detail and a terrific team that backs you. Amazing! " "Everything was perfect with Cathy's service. Cathy goes above and beyond for her clients. We will absolutely deal with her in our future real estate needs. Our house sold fast, negotiations were effortless for us, everything was explained to us. Most happy with Cathy's integrity and honesty. Very professional & approachable. Always available. She clearly loves her work which shows in her dedication. "Find a job you love and you never work a day in your life"." "You are awesome! Your wonderful smile and quick response to all our needs made us most happy!" "Everything was great from first impression right through to follow up and on going communication. I was most happy with your availability, your friendly manner in greeting us on a Sunday when office was closed." "I was most happy with how fast you got back to me on our questions." "Many many thanks Cathy! You went above and beyond. You helped us through a very difficult situation with such ease. We would highly recommend you to anyone. P.S. Your assistant was also awesome." "We felt we received very good service. We highly recommend you as a Realtor. We were most happy that you weren't pushy about anything - very relaxed. You kept us up to date on everything as the sale was progressing." "I was most happy with your efforts in showing us the places we wanted to see and showing us around Port Alberni also." "We were extremely happy with your service. You removed all the pressure of selling our home while we were so far away. We were most happy with your honest communication about the home and how you negotiated with us." "We think you are doing a good job with your service. You were ready to help us and made arrangements as soon as we found a house to look at." "We were happy with the service provided by Cathy & team. You returned calls promptly, information was accurate, and you made the process smooth and pleasant." "The home was sold very quickly. I really like the program you have where we can see when someone views the home, their comments, and whether they might view it again." "We appreciated the fact that Cathy kept us informed during the sale process. You were always available to answer questions, which was very helpful since we were not in Port Alberni." "It is really nice to have Sara available when you aren't. Everything always moves along very nicely when I get Cathy to sell my houses." "I was most happy with how quick and efficient you are. You worked so hard to get us everything we asked for." "You are a gem! We were most happy that you were able to work the problem with "2 separate lots" and our lender issues. That you indulged us in showing other options to purchase, but I feel that you knew "our" house was the perfect one for us! That you took the time on a Sunday to show us the house, even though it was a day off and you were running errands. Really appreciate your warmth & professionalism." "I believe if it's not broken, don't fix it! Keep doing what you're doing, AWESOME! Was very happy with your honesty and commitment to your clients and staying in touch at all times." "Very happy with your willingness to help us find the right home, your positive attitude during the whole process. After we dragged you through over 11 homes, you never lost your focus in looking for a home for us. When we had concerns, you took the time to listen and help solve them. Thank you!" "Thank you for guiding us through the variety of challenges that showed up during the process. We appreciate your knowledge and experience and that you worked hard to close the deal and was always calm and professional. We also appreciated Cathy's efficient administrative follow up with our Notary to facilitate the closing." "The service I received was stellar and I am pleased with the quick and knowledgeable responses to my inquiries. I know next to nothing of the home buying process and you stick - handled me through it all with kind, professional and prompt service. Thank you!" "I was very pleased with your service. You explained things clearly when you were at my kitchen table with an offer. Thank you." "Awesome, friendly & informative service! Most happy with the regular communication and updates of how things were proceeding. Responding timely to questions we had. We liked the straight forward, up front approach. Also, Cathy gave us lots of information and advice on the overall process. Well educated in all aspects of the field." "We have been thoroughly happy with your services for the 2 house purchases. We were most happy with your willingness, even though the purchase was unconditional, to meet several times for us to show prospective renters through the suite. And also your follow up when the sellers tenants left the house a mess was greatly appreciated. You have a thorough knowledge of the local real estate market and a good sense of what to do / not to do when closing deals. Thank you!!" "You could not have made any improvements in your excellent service. You responded to all my calls, answered my questions & listened to my concerns. Everything was explained. I had a clear understanding of the process. When it came down to the last few weeks, I was manic, and you talked me through all of my concerns. You have great people skills and you do your job extremely well! Thank you for your help." "We couldn't be happier with the way Cathy handled everything. Cathy was willing to present any offer that we wanted and also offered advice that was more in our favor. Thanks again Cathy, we couldn't have done it without you!" "You did a good job and sold our house quickly. Thank you Cathy! You are pleasant, determined and informative. You were available when we needed you. Your assistant was pleasant & helpful (Thanks Sara)." "I loved how you were assertive, yet professional, in always getting feedback from every showing. You understood that hearing about how the showing went was important to us. I probably called / texted you more than your average client and you always responded and never made me feel like I was a bother to you. Then at the end, the negotiating. You are an awesome negotiator! As busy or overworked that you may feel sometimes, you never let it show, that's true professionalism! Thank you Cathy & Sara for all your hard work!" "Excellent Service! Very happy with the home you found for us. The paperwork was done fast and efficiently. Very happy with our place, feels like home. Thanks Cathy." "Great service! I was very confident in your abilities. Was most happy with the speed in which a buyer was found and your willingness to make things as easy for me as possible. Thanks again." "Keep up the good work, Cathy! You are honest and reliable. You pay attention to detail. You have great people communication skills. Finally, you work hard, care about your clients and most of all you are very enthusiastic! Thanks." "It went very smooth and you were very professional. Thanks." "Cathy went out of her way to book many houses to see in 1 day as we were coming from off Island. Cathy was totally committed to us from start to finish and all was done professionally, on time and all info was given. Cathy stayed focused on our needs in a home throughout and we got the perfect home! The foreclosure process you were an expert on, as stated on your website. All was done in a very friendly, upbeat manner. We wouldn't hesitate to recommend you to anyone! We can't thank you enough Cathy!" "We were quite happy with our dealings with Cathy. She was very pleasant and easy to work with. Cathy was very helpful and professional while driving us around and looking at houses. We did not wish to deal with anyone else as Cathy proved to be an excellent Realtor who looked after our needs." "Cathy is very patient and dedicated. For over a year Cathy waited for us to find a house and to help us sell ours. Cathy is truly an expert on court ordered sales. Her advice allowed us to get our dream house at our asking price. Her professional demeanor and tireless effort instilled us with confidence. We owe Cathy a debt of gratitude." "Very happy with overall service. Her assistant is also very obliging. I was most happy with Cathy's ability to communicate and work with her fellow realtors. Good communication and good results!" "I was most happy with the helpful and service oriented nature and additional assistance post final offer that demonstrated true commitment. You had knowledgeable information about every home that was looked at and a willingness to support buyer in extended negotiations. Experienced negotiator." "No pressure to list. No pressure to buy. Realistic, experienced opinions on the price for our house and the purchase of our new one. "Patience" during the entire purchase during my constant phone calls and worries! Have already passed along your card!" "We were most happy with the friendly and helpful attitude of everyone in the office especially Cathy and Sara. Also, because this was our first time buying a house, we really appreciated having everything laid out for us step by step. It made the whole process much easier than expected." "Service was great, no issues at all. I was most happy with seeing home that were within price I set and that they had the features I requested." "I appreciated how you cared about features of house that appealed to my interests and prompt, flexible with time. Thank you for making the purchase of our first home simple. You know what you're doing! " "Cathy your services were excellent. You answered all our questions quickly. You explained things to me in a way that I would understand. I was most happy with how quick you were to get our questions answered and you were always willing to show me anything and everything I wanted. Thanks so much!" "Thank you for all your work in helping me make this purchase. I look forward to many years of enjoyment here. During one of our first meetings, you were quick to understand my housing needs and preferences and were effectively able to weigh, with me, the pros and cons of each house we visited. I was impressed with your practical knowledge. It took an uncommonly long time to close this deal and I'm sure there were a lot of details you took care of "behind the scenes". I really appreciate how you and your colleagues facilitated the entire procedure for me - not the least by your reassuring positive energy and commitment to achieve the best result for me. I would not hesitate to recommend you highly to anyone in need of a Realtor - you are a truly caring, very competent professional." "Thank you for being dedicated. You impressed Jim and he doesn't impress easily. We were most happy that you sold our house in the best way you could in times that is not easy." "We were most happy with the contact via email as to showings & feedback. We were very impressed that you didn't give up on selling our home. We understand that it must get frustrating when the house is irregular and it is more difficult to sell but you continued to try and were honest with us. We greatly appreciate your services and we have and will continue to recommend you to people." "You listened to me, showed me good houses to compare with my own and we came to a good agreement in price. I was most happy with the quick sale." "It is not possible to improve on the service we received from Cathy & Sara. As new investors, we appreciate working with Cathy, who is a very knowledgeable and successful investor herself. She listens carefully to our needs and requests, suggests possible solutions, and follows through to ensure all goes well. We have now successfully completed two foreclosures with her, gaining invaluable knowledge and advice from her and her team. We look forward to working with her again, and again. You could not ask for a more qualified realtor working in your best interests. Our sincerest thank you to both Cathy & Sara for taking such excellent care of us." "Your service was great. Glad you met with us and talked us into listing." "The most terrific and wonderful Realtor we've ever met! We were most happy with our Happy Ending!!" "You have a pleasant personality to work with. Willing to show a number of houses until the right one was found." "You did a great job! We were most happy with the way you and Sara kept us updated with the viewings to our house." "You were wonderful! I was most happy with how smooth the transaction went. You were always there for us with a quick answer to all our questions and doubts." "We were so greatful for your patience with old folks like us. Thank you for referring us to Nancy Bolch and thank you for the lovely gift." "You had an upbeat attitude all along assuring us a house would turn up. You handled all questions especially when insurance papers had to be filled out. You showed us what we wanted to see and steered us away when not appropriate. You were very patient through the process - from beginning to end. We will pass your name onto anyone we know in need of a Realtor!" "Totally satisfied with your service! Thank you!" "I think your service and connection is very good. I was most happy with the time and effort you took to get the business together and completed. Introducing me to your daughter, Sharie (mortgage broker) was a little unfair... having two beautiful ladies gang up on an old guy, shame.... haha"
"Thank you for all your hard work in helping us to find our new home. You may recall me mentioning that I was interested in becoming a Realtor and well I did! Thank you for that too - you were very professional and inspiring to work with." "You are the best!! I was most happy with your personal approach. You truly cared that things went smoothly and worked out for us. I never had to think about the complicated process of purchasing as you took care of everything and was always one step ahead. You were very kind, helped me stay calm in a stressful situation. I would recommend you in a heartbeat!" "THANK YOU so much for everything that you did for me. You were extremely helpful and professional in every way. I am enjoying my home and I owe alot to you and your professionalism and the way things were handled. Thank you again!" "I was most happy with the speed of the sale...."
"I was most happy with the way you were totally on the ball with all aspects of the deal, including keeping in touch with the mortgage company, seller, etc. You are very knowledgeable and good at keeping us informed. You were available at all times and friendly, helpful and up front about everything. I would recommend you anytime!! Thanks"
"Thank you so much Cathy for your help and extra kindness to my son in the purchase of his first house. You certainly went the "extra mile" for him and we all appreciate that so much! You were just the one he needed. God has gifted you for the work you are doing." "I can't think of any improvements.... I am very pleased and satisfied with the service I received. I was most happy with the communication we had throughout the whole process of my house being listed with you. You and your staff always returned my calls and kept me up to date with showings and feedback from all showings. I was able to phone you at home and on your own personal cell phone. The service I received was over and above what I expected. I would and will recommend your services in a heartbeat. Thank you for everything!" "We thought your service was very good. You were very helpful and took my many calls and requests with sincerity. Thank you for everything, we are really happy with our new home and I would recommend you to anyone who is searching for a new home." "Thanks for selling our house. You worked really hard for us and inspired confidence that it would sell. It meant a lot to us that you appreciated the quality of our house. It was great to work with you, you were always patient and pleasant. Thanks too for such good communication. Your assistant Sara is super too! I will recommend you to anyone I know who needs a realtor." "I was most happy with the prompt return of telephone calls. Your honesty and working for our best interests and your confidentiality." "I was most happy with the way you put my mind at ease when I was so stressed about finding a place in one afternoon. You took it on like a challenge and you were as determined as I was to get me on the Ferry the next morning as a new homeowner. You didn't mind to work overtime with me and your genuine friendliness, honesty and humour made it a very pleasureable experience for me. P.S. Whne I drive by the billboard with your picture on it, I give you a thumbs up. Thanks so much." "You were very hardworking, dedicated, and focused upon your clients needs. Happy to investigate any concern." "I was most happy with the "No Nonsense", exactly what I wanted! Saves me time and money! 1st class service. Thanks." "You provided great service! We appreciate your professionalism and friendly personality & honesty. We were most happy with the fact that you were fast/prompt at the viewings of homes. We enjoyed our time with you and noticed that you had alot of knowledge of current listings. We love your website! We love our home. Jeff & Nancy"
"You were quick to respond to calls and picked the right places to show us. I would recommend you to anyone." "We were pleased with your service and most happy with your availability." "You provided excellent, top-notch service. I was most happy with the extra time you put in and effort that you made in order to sell my house at a most difficult time. I highly recommend you as an experienced extremely diligent Realtor who is willing to go the extra mile in order to satisfy her customers. Sara was most generous and helpful in attending to things at my house while I was away and for that I am most grateful." "We were most happy with all the advertising that you did on our behalf. There was no shortage of advertising. Every paper we opened, there was our house. Whether it be a quarter page, feature of the week or an up coming open house. We feel you could not have done better in this area. We are extremely happy that you persevered, even though the market had softened, to find us a buyer so we could get on with our lives." "Continue to do what you are doing. You immediately understood what I needed in a home and showed me houses that would fit my needs as to price, size, location and lifestyle. You kept in touch by phone and were never intrusive or forceful but always friendly and helpful. You gave me the time that I needed to make my decision. When I had questions about any of the houses, you found the answers and gave me the information very quickly." "Continue doing the same thing as you did for us. It works! Making a purchase sight unseen from New Zealand could have been a "scary" endeavor, but you made it surprise free. We thank you and your staff for all the help you provided in getting quotes for us and getting a garage door installed. " "We were most happy with the way that you stuck with us for about "60" viewings and then the repeats,and were ready to look at more. Also the way you kept with us to get things done after the sale. Cathy you are a gem. Honesty is a very good trait of Cathy, also a wonderful sense of humor! You've got to have this to survive all those endless and tiresome home viewings. We picked her among Remax agents online and we never looked back. Keep up the good work!" "We were very happy with everything. You went so far above and beyond our expectations. We could not have chosen a better individual to help us buying our first home. You are very knowledgeable about all aspects of buying a home, which really helped us, since we are both so green to realestate purchases. You helped turn our less then desirable situation into a very pleasant and positive experience. We could never thank you enough." "Mike and I know how busy Cathy is and we never felt that she didn't have the time or energy to talk to us. We always felt that she had our best interest in mind. We were happy with the services that Cathy provided throughout the whole process of selling. She answered all our questions, was polite, professional and made transitioning into our new home much more easy. We couldn't have imagined doing this on our own.... Thank you Cathy! P.S. Sara was wonderful too! Always polite and friendly. So many thanks to you two!" "Very quick response to our phone calls! Overall we were both very happy with Cathy's service. Cathy was always very personable, open & honest. Thanks Cathy for the gift certificate - we'll enjoy it!" "When we first decided to buy a home, it seemed a daunting task. 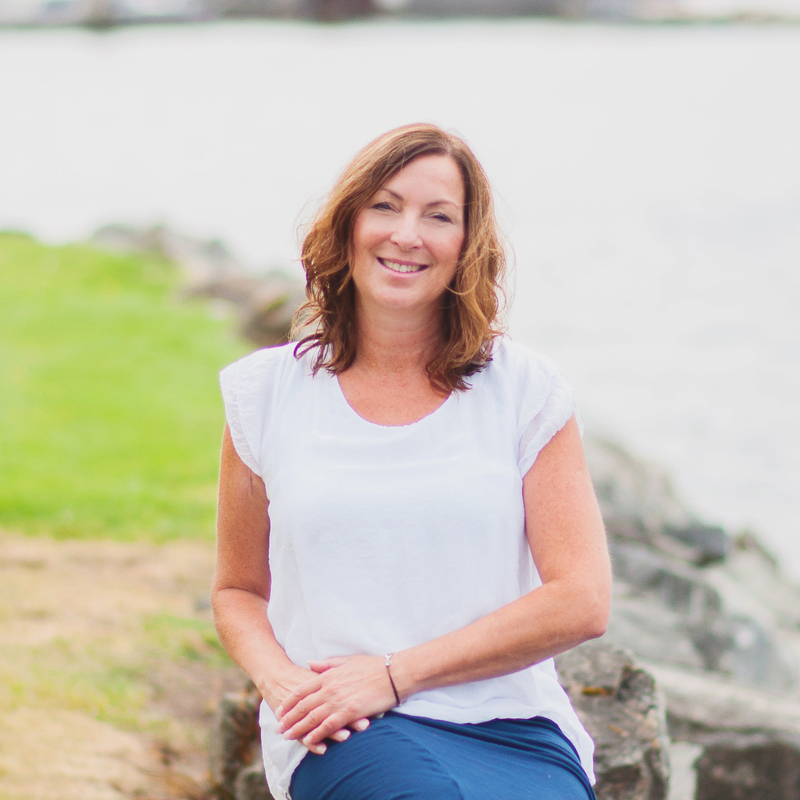 After contacting Cathy, she not only guided us through Port Alberni's booming housing market, she also took the time to care about finding the house that would fit our family's needs. She was also a calming presence through a tense process! We appreciate her knowledge and expertise in Alberni Valley real estate. She always answered our questions, no matter if she had to research them first. She went above and beyond her role as a realtor, proving to us that she is truly a professional. Thank you, Cathy. We couldn't have bought our first home together without you. "We would like to thank Cathy Braiden of Re/Max Mid-Island Realty for providing us with outstanding & professional services in the sale of our former house. We also appreciated her knowledge & expertise in helping us find the home of our dreams. It was a smooth transition between the two thanks to Cathy and it was a pleasure working with her." "I am totally satisfied and very happy! Cathy was very friendly and always took the time to answer my calls personally, which made the best impression on me. She kept her word about how hard she was going to work for me! I would, and have, recommended Cathy's Real Estate services to everyone!" "I was quite happy & satisfied with Cathy's service. She is very personable and was easy to approach with any questions that I had. I was also impressed how fast she returned my calls. Thanks again Cathy!" "Cathy did a great job! Keep it up! I was very happy that we had so much in common and I hope we can remain friends. Thank you for the gift certificate - we had a wonderful dinner." and pleasant experience. She treated us like we were her number one priority! We could not have asked for anything more. Thank you, Cathy!" "I was most happy with how you were always easy to get a hold of, and always had an answer to any of my questions." "I feel that Cathy does a great job selling Real Estate. She worked hard at getting the price I wanted. Thank you for your hard work." "Thanks so much for everything Cathy. You're awesome! We were very happy with the quick sale of our house and thank you for answering our many questions - sometimes more than once! Tristan, Chantal, the girls and I are totally loving our new duplex. " "Cathy worked hard and was very knowledgeable of the property and answered all of my questions." "I was very happy with the level of commitment and all the work you put in to sell my house. Make a clone of yourself...and 3 more assistants! Thanks Cathy!!" "We are extremely happy with the recent purchase of our new home! We wanted to thank you for all of your hard work that went into making this happen for us. You ensured any questions we had were answered quickly, yet there was never any pressure to buy. We will continue to recommend you to anyone in need of a great Realtor! Sara was awesome too!" "We were happy with the fact that Cathy didn't have a negative reaction when we took our house off the market. When we decided later to sell, Cathy had all of our information so it was pretty much hassle free. Cathy sold the house within a couple of days, WOW! She brought us a reasonable offer and everything was done in an efficient way. It was a pleasure dealing with Cathy and Sara. Thank you for the lovely flowers and for everything you did to make our sale a smooth one!" "We believe Cathy did all she could for us. We were most happy with the way she showed us so many different homes." "We thought you handled everything very professional. Keeping close contact was what was important to us and you did that! We felt comfortable asking questions and felt that you were honest and that we could trust you. You were realistic and not fake or pushy. It was also nice that Sara was there to answer questions. We know who to recommend to people now! Thanks for everything!" "We were very happy to see our house advertised every single week in all the papers. We will recommend you always. Thank you so much." "I was most happy with the prompt service and that you stayed in contact. Excellent service, courteous, very on top of things. Great to do business with. Thanks again." "We feel that you and Sara have provided us with excellent service. All calls & emails were promptly returned in a friendly & efficient manner. Information was always provided when requested. Thank you for the gift certificate!" "You are very good, Cathy. I was most happy with how you returned my phone calls right on time. Thank you." the contact with us. Good advertising!" "I am a bit of a recluse, and when I do got out, I mostly find people and businesses incompetent and aggravating. So needless to say, the thought of going through the home selling process was a big concern! I saw an ad for Cathy and decided to email her. Before I knew it, she was appraising my home, and I felt so comfortable with her that I decided right then to list with her. Within a week, I had a nice offer that I immediately accepted. And, even though there were some unique problems to deal with, Cathy took care of everything! Thanks again, Cathy!" "Our concerns were always listened to and when we wanted to arrange another viewing it was always arranged quickly & efficiently." We both appreciate the personal service you gave us, spending so much time with us as we needed until we found our home. We were happy that you called us with homes on the market or coming on the market that you thought we'd be interested in. That was really helpful. You were easy to contact and seem to work all the time!" "You and your staff were great! Prompt, courteous and caring. Professionals all the way. I could not have had such an easy & care free transaction. I was most happy with the time span that you and your support staff returned calls. All concerns were very quickly looked into and dealt with. Thanks for everything!"